This edition of one of the most beloved spiritual sagas of our time contains hundreds of revisions by the author. It also includes a new Afterword that tells the story behind the book-how it was born, “died,” then rose from its ashes to become a word-of-mouth bestseller that continues to inspire millions of men and women of all ages in 22 languages worldwide. Blending fact and fiction, the story relates an odyssey into realms of light and shadow, romance, and mystery. Guided by an eccentric old warrior named Socrates, drawn to an elusive young woman called Joy, Dan moves toward a final confrontation that will deliver or destroy him. This classic tale, told with heart and humor, speaks to the peaceful warrior in each of us, moving readers to laughter and tears — even to moments of illumination — as they rediscover life’s larger meaning and purpose. Join Dan on the peaceful warrior’s path. Find out why this book has changed lives. 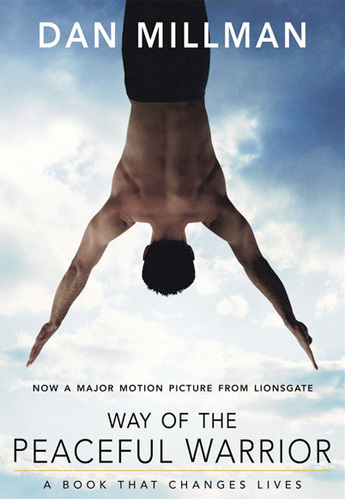 Way of the Peaceful Warrior began my own journey as a writer and teacher. I’ve been blessed by thousands of letters I’ve received over the years. When I wrote it, I had no idea that so many people, young and old, from different walks of life, would find my story so inspiring. Over the years I’ve asked myself why. I believe it’s because my story also touched upon universal themes-our common quest for meaning and purpose and direction. Somehow it reminds readers of what they had always known but forgotten — the bigger picture and essential perfection of our lives unfolding.